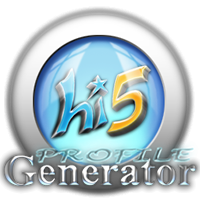 This is a generator with a live preview, where you will be able to do all that you want with your profile. No codes! Made by Nuno Peralta and Andrew Davis. New great features are constantly being implemented. 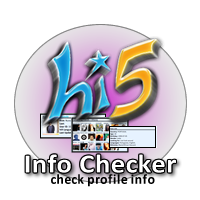 Check cool information about any profile, with this tool. This tool is very organized and tell everything you want. You can also *steal* some codes in their About Me and Interests. 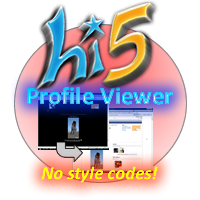 View any profile without its codes. I know that some profiles are very annoying without some sections or buttons. You can also make some tweaks to profiles. 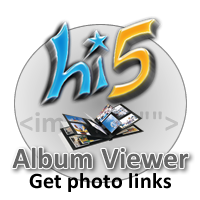 Do you want all photo links from an album? This is the correct place! This tool also tells you the original photo's name and its published date. Are you filtered lots of times? Do you experience false errors because of inoffencive words? No more filters! Simply write, put images and links easily, use smileys and forget the filters! 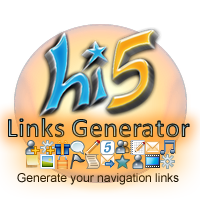 Generate your navigation links, like "Add me as a Friend", to put in your About Me. You can get your main links, when you are in trouble! Or just get links from other profiles. 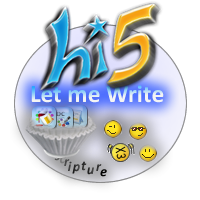 hi5 Blog - Future Features? hi5 exclusive news? It's all here! Skin Gallery - Share your skin! You can place the top in your "About me" or "Interests" section. 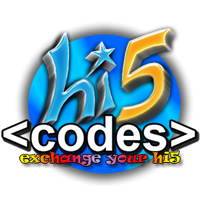 This is an application where you can talk, ask questions, help, get experience points by creating your own codes, etc. Check for some other useful sites.